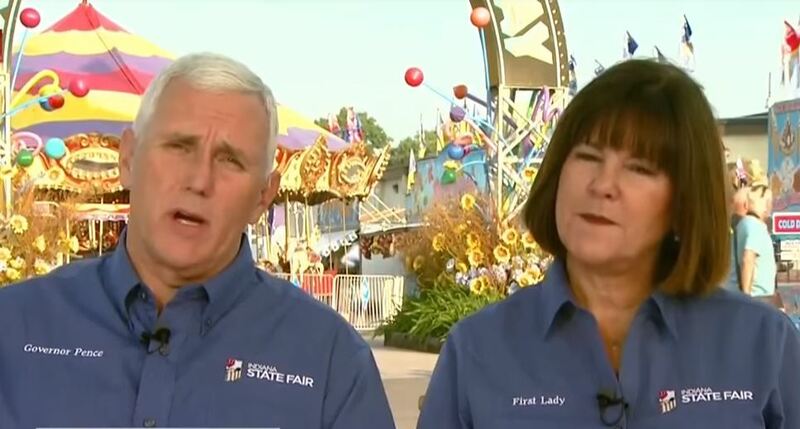 President Donald Trump praised the second lady, Karen Pence, for teaching art at a school that bans LGBTQ people. At the National Prayer Breakfast in Washington, D.C., on Thursday, Trump thanked Pence for her return to Immanuel Christian. “Our incredible second lady Karen Pence and by the way, by the way, I’ve gotten to know Karen so well,” he said. “She is a Marine Corps mom, a tremendous woman, a proud supporter of military families and she just recently went back to teaching art classes at a Christian school. Thank you. Thank you, Karen,” he added. “Since the founding of our nation, many of our greatest strides, from gaining our independence to abolition of civil rights, to extending the vote for women, have been led by people of faith and started in prayer,” he said in an apparent gaffe.